Don't know much about drummer Deric Dickens but one listen to "Speed Date" (self-released) and you'll know he's influenced by Ornette Coleman and the "Mu" duo of Don Cherry & Ed Blackwell (you'll also know that if you read the liner notes, which I did after listening to the CD.) Joining him on this 20-track "date" are Ben Cohen (tenor saxophone on 3 tracks), Jon Crowley (trumpet on 3 tracks), Kirk Knuffke (cornet on 4 tracks), Jeff Lederer (tenor saxophone on 2 tracks, clarinet on 1), Jeremy Udden (alto and C Melody saxophone on 3 tracks) and Matt Wilson (drums, wooden flute, bottle on 4 tracks). 6 tracks were created "by the clock" in that a stop watch was used and the duo had 74 seconds to instantly compose a piece. "Speed Date" should please listeners who believe that 21st Century jazz is too conservative (that is what I have read in some publications.) Deric Dickens and his 6 collaborators are very involved in their dialogues and, lucky us, we get to sit right in the middle. For more information, go to www.dericdickens.com. The Firehouse 12 Fall 2012 Concert Series rolls on this week (October 28) with the Mike Baggetta Quartet. Guitarist-composer Baggetta, a native of Agawam, Massachusetts, has worked with a slew of creative musicians but, perhaps, is best known for his collaborative duo with trumpeter Kris Tiner, TIN-BAG. This Quartet, composed of Jason Rigby (saxophones), Eivind Opsvik (bass) and George Schuller (drums), has just issued "Source Materials" (Fresh Sounds New Talent), a pleasing blend of uptempo, harder-edged pieces with quiet yet challenging acoustic ballads. The Elm City concert, part of a short tour of East Coast cities, is a great way to watch creativity in action. Baggetta's pieces all have strong melodies yet most songs have generous spaces for the musicians to show their improvisational power. And, this rhythm section is not only supportive but also inventive in how they frame the pieces and interact with the soloists. The Baggetta Quartet will play 2 sets, 8:30 and 10 p.m. For ticket information, go to firehouse12.com or call 203-785-0468. To learn more about the band, go to www.mikebaggetta.com. Recorded live over 3 separate sessions (19 of the 21 tracks(!) are from a 2-night gig in Pasadena, California), "Tenderly: Solo Guitar Concert" (HighNote Records) is a real treat for guitar lovers. Kenny Burrell is not known for excessive noodling or flashy pyrotechnics - he thinks melody first and builds his solos logically off the chord structures. My suggestion is to start with the "Ellingtonia Montage", a 7-part medley that is so blessedly musical and intelligently played, transforming pieces written for big band to a 6-string electric guitar and making the transition flawlessly. Burrell gets to the heart of each of these songs, from Thad Jones' lovely "A Child Is Born" to the bouncy "Recado Bossa Nova." "Be Yourself" features a sweet vocal from Burrell on a his composition originally created for the Harlem Boys Choir. It's one of many lovely moments on a CD that is a gift of for tired ears. Sit back, relax, and let the sounds bring you peace. Guitarist Pat Martino has had quite a career, one that spans nearly 5 decades. In his early years, he played "pop music" with local Philadelphia artists such as Bobby Rydell and Frankie Avalon and, before his 20th birthday, was on the road with organist Charles Earland. While in the midst of a 1976 tour with his fusion group, Joyous Lake, he suffered a series of seizures caused by a condition known as AVM (arteriovenous malformation) and had surgery that saved his life but took away his memory and ability to play guitar. Through extensive therapy, Martino made a full comeback. "Undeniable: Live at Blues Alley" (HighNote Records) features a "smoking" ensemble including Eric Alexander (tenor saxophone), Tony Monaco (Hammond B-3 organ) and Jeff "Tain" Watts (drums). The 7 tracks are all composed by the guitarist save for the bluesy take on Thelonious Monk's "Round Midnight" and while there is nothing earth-shattering here, this music has an undeniable groove that will have you snapping your fingers and wishing you were in the D.C. nightclub for the 3 nights in June 2009 that produced these tracks. You just have to smile hearing the audience clapping along on "Goin' To A Meeting" or shouting encouragement as Martino and Watts take "Double Play" to a fiery climax right before Alexander digs in for his own hard-edged solo. The saxophonist always seems to hit the right notes, most noticeably on the blues-drenched "Inside Out." It's fun to hear Watts in a more straight-ahead vein - he still plays stokes the fires hard with his crashing cymbals and snappy snare work. Monaco's groove never fails and his active bass pedals really keep the "bottom" flowing. "Undeniable" is my kind of party music; a touch of fatback funk, a dollop of blues, solos that go for the jugular and a rhythm section that never lets up bit knows how to lay back when called for. A "guilty pleasure"? Perhaps, but a pleasure all the same. Trumpeter-composer Tim Hagans can bring his horn to just about style of creative music and make it his own. "The Moon is Waiting" (Palmetto Records) is an excursion into a "fusion soundscape" powered by the hard drive of drummer Jukkis Uotila, electrified by the adventurous guitar of Vic Juris, and underpinned by the forceful bass work of Rufus Reid. For those used to hearing Reid in more "straight-ahead" settings, his work here on acoustic bass is monstrous, his big, thick sound meshing well with the active drumming. Meanwhile, Hagans plays with great gusto throughout, whether it's floating over the stop-start rhythms of "Ornette's Waking Dream of a Woman" or roaring through a duet with Uotila near the close of "First Jazz." There are some allusions to electric Miles (Davis, of course) in both the funky "Boo" and the sound-scapes of the title track. Juris, another musician whose guitar can move among genres, is impressive, especially his work in the background. His lovely intro and solo on the ballad "What'll I Tell Her Tonight" is rich both melodically and emotionally, setting the stage for Hagans' fine muted trumpet solo. The guitar and trumpet section of "Get Outside", framed by the tolling piano chords (supplied by Uotila), is edgy yet playful. By the time you get to the closing track, "Things Happen In a Convertible", you realize that these guys enjoy each others' company and that, because of the trust they have, the music can and does go in many different directions without ever getting lost. The first 3 tracks were originally created for the Michelle Brangwen Dance Ensemble yet there are inspired moments of musical choreography throughout "The Moon is Waiting." Hagans has created music for this ensemble that moves with joy, energy, and intelligence, with quieter sections that are also rich with musical ideas. Go to www.palmetto-records.com and search for Tim Hagans - give a listen and chances are good you'll want to hear this fine recording many times. 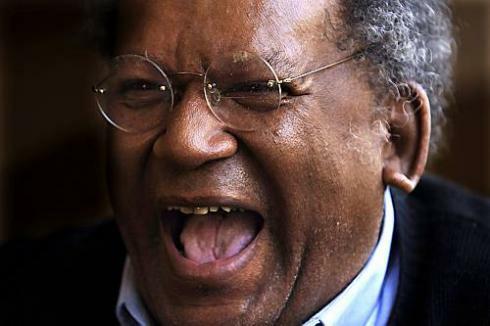 In 2009, he convened the group that will join him in New Haven (well, most of them.) Saxophonist Noah Preminger (a Connecticut native), pianist Dan Tepfer and bassist Chris Lightcap recorded "Perennial" for Brooklyn Jazz Underground Records - the CD made many year-end "Top 10" lists (including mine) for its inventive mix of melody and rhythms as well as the impressive musicianship. For the 4's new recording, "The Drop and the Ocean" (BJU Records - reviewed here), John Hebert replaced Lightcap, adding his distinctive voice to the ensemble. What impresses me most is that Garcia's music is more concerned with melody than with flashy solos. Tepfer is such an inventive player and Preminger never overplays, often displaying a softer tone (a la Charles Lloyd) on solos that float rather than fly. There are many moments when the quartet lets loose but rarely in a frenetic manner. The Firehouse 12 website lists Joe Martin joining the band for this date and he's no slouch when it comes to bass playing. For more information, go to firehouse.com or call 203-785-0468. Yes, another piano trio CD and, yes again, it's pretty darned good. The cooperative trio of (Colin) Stranahan (drums), (Glenn) Zaleski (piano) and (Rick) Rosato (bass) spent February 20, 2011, in NFA Studios in Colorado and created "Anticipation" (Capri Records). The music moves easily from track to track, a smart blend of originals and standards, with nothing rushed or overdone. Stranahan, whose previous CD was quite attractive (reviewed here), is a young player with very mature ears. His brush work on his piece "First Rain" sizzles and sighs while his "bop chops" on Zaleski's "On The Road" should make your feet tap in happiness. The pianist took part in the 2011 Thelonious Monk Piano Competition (ultimately won by Kris Bowers) and has been receiving great reviews for his fine melodic style. One can hear the influence of Bill Evans on Rosato's "Clark" yet, most of the time, he's his own person. He swings sweetly on the Miles Davis/Gil Evans classic "Boplicity" and really shines on his own composition, the lovely ballad "Deep Blue." Rosato, who's only 22 years old, not only locks in the bottom but also is a very melodic bassist whose phrases are fluid and well-placed. The urgency in his forceful lines on "All The Things You Are" helps to make the piece sound new. "Anticipation" is good music and these 3 young musicians are yet another hopeful sign that jazz will continue to excite listeners for many more years. For more information, go to www.glennzaleski.com or www.colinstranahan.com. 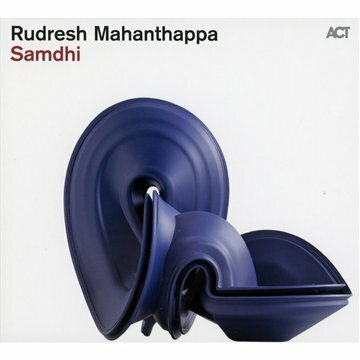 The alto saxophone sound of Rudresh Mahanthappa, with its tart yet appealing tones, sometimes brings to mind the sound of the North Indian shenai (a double-reed oboe-like horn.) On his new CD, "Samdhi" (ACT Music), one can hear that sound and so much more. This is the saxophonist's "electric" music, with a quintet that features the fluid electric bass lines of Rich Brown, the high-energy drumming of Damion Reid (whose snare work is, at times, incredible), the inventive and fiery electric guitar work of David Gilmore and the active Indian percussion of "Anand" Anantha Krishnan (mridangnam and kanjira). On top of this, you add the Mahanthappa's rapid-fire alto phrases and this music has the power to pin the listener to the wall. Smartly, the leader adds a "spotlight" piece for himself and his cohorts with Reid and Krishnan performing a percussion dialogue. And this is not all "strum und clang" - several pieces rely on the intricate interplay of the percussionists with Brown's thick bass tones. "Playing With Stones" opens with an Indian melody played by the front line while the bassist creates a swirling pattern on the bottom. "Ahhh" has a mournful melody line played by guitar and alto in unison but when Mahanthappa puts his alto through the laptop, thickening the sound, the piece catches fire. There is a bluesy Bo Diddley-style rhythm in the theme section of "Breakfastlunchanddinner", a bit of Southside Chicago mixed with downtown Mumbai. The alto solo reaches a fine climax then Mahanthappa gets "soulful" leading into Gilmore's dizzying solo. There's more "soul music" on "For All The Ladies", the ballad that closes the CD. Reid and Krishnan are magical here as well, with a blend of both sensitivity and force but never overkill. "Samdhi" has much to offer the adventurous listener, from Mahavishnu-like "burnout" to introspective solo pieces. The band, minus Krishnan, is currently on a European tour and will be appearing at The Jazz Standard in New York City (11/01 & 02), the Regatta Bar in Boston (11/03) and Firehouse 12 in New Haven (11/04). One can just imagine how this music will have grown by then. In the meantime, latch on to the recording and play it loud. For more information, go to rudreshm.com. "Crosby Street" (14th Street Records) is the debut CD from tenor saxophonist Jake Saslow. All but one of the 7 tracks are original works (Horace Silver's "Lonely Woman" is the one exception) and the recording, like its cover, mixes brightness with shadows. There's lightness in the sound of the tenor (a nod towards Charles Lloyd, perhaps), chiming guitar chords from Mike Moreno (he appears on 5 cuts), excellent piano explorations and backgrounds from Fabian Almazan (he plays on 4 tracks), and the pleasingly fluid rhythms supplied by bassist Joe Martin and drummer Marcus Gilmore. The music does not have many "highs" or "lows" yet there is an intensity in "Taiga Forest" that pulls one into its melodic variations and smart solos. Moreno catches fire on "Early Riser", with a strong push from Gilmore while the leader's interactions with the piano accompaniment are vibrant. "Crosby Street" may not stir your emotions on first listen but go back with open ears and let the sounds wash over you. Pay attention to the stellar rhythm section, the "behind the scenes" work of Moreno and Almazan and the sweet emotionally vulnerable sounds of Jake Saslow. For more information, go to jakesaslow.com. Musicians like guitarist Nat Janoff play all kinds of gigs, from r'n'b to funk to electric fusion to straight-ahead jazz, and do so because they love to play. Music is in their blood. Janoff graduated from William Paterson University in 1996 and has been gigging ever since. "Come Together Move Apart" (self-released) is his 4th release as a leader or co-leader and it's a winner for a number of reasons. Janoff has assembled a fine band, including pianist John Escreet, bassist François Moutin and drummer Chris Carroll. He composed all the pieces and then let the band loose. The rhythm section is so fluid, they make the music move with fire and grace - the interaction of the guitar and piano with the bass and drums on pieces such as "Mood" and "Shorter Times" makes it sound as if they had played together for years. When a musician moves within the poly-rhythmic world, they can either be conservative and fall back on cliches to get through or take bold chances knowing the support is there. It's a treat to hear how Carroll gets into conversations with Janoff and Escreet during their solos on "Sunday Morning" and the way Moutin dances beneath the pianist on "Partly Cloudy." Those interactive moments happen throughout the program and are a big part of what makes this music so enjoyable. Escreet's work behind and alongside the guitarist is also pleasing. The young British-born keyboard artist is one of those players who never goes for the "tried-and-true" and his accompaniment of as well as his interactions with Janoff shine ("Sketch 1" and "Sketch 2" show how well they work on ballads.) His solo on "Hope Fills My Heart" is the musical explanation of the song's title. Moutin, whose work with both his brother Louis and pianist Jean-Michel Pilc's Trio, has shown to him to be such an inventive player, is no slouch on these tracks, with his thick tone and revelatory solos. While Nat Janoff can really play guitar (his lines are often swift, blurs of runs that move up and down the fret board), you should listen to "Come Together Move Apart" to hear how strong the melodies are and how much fun the 4 players have on their journey through the pieces. This is why I listen to jazz, to creative music. Recordings this good give me hope in troubled times. For more information, go to www.natjanoff.com. Guitarist-composer Mike Baggetta is coming to New Haven and Firehouse 12 on October 28 to play 2 sets of music, 8:30 and 10 p.m., with the Quartet that has just issued its 2nd CD on the Fresh Sounds New Talent label. "Source Material" features his "working" group of Jason Rigby (saxophones), Eivind Opsvik (bass) and George Schuller (drums) - on the CD, one can hear that these musicians really pay attention to each other and to the material, all of which are Baggetta originals. It's a program that commences on the low-key side with 2 longer pieces, "Tonic" (12:10) and "Nathan" (8:55) both starting slowly and quietly. The former opens with a short, even-keeled, drum solo before the band tip-toes in, Baggetta's softer chords driving the piece forward. Rigby adds a livelier feel in his tenor solo that also spotlights the fine guitar accompaniment. "Nathan" is even softer, a ballad all the way through, Rigby's soft tenor lines wrapping around the guitar, not unlike the work John Abercrombie did with Charles Lloyd on the saxophonist's "Water is Wide" and "Lift Every Voice" CDs. The band moves a several steps "out" on "Liberty", a work with a rubato feel (fine drum accompaniment) and the next track, "Momentum", has the feel of an Ornette Coleman piece from his Atlantic days. There's more Coleman influence on "Projections", a romp that shows Rigby (on tenor) at his most playful Baggetta switches to acoustic guitar for the lovely and still adventurous "The Sky and the Sea." The blend of the soprano saxophone and acoustic guitar is gentle and emotionally satisfying. The guitarist goes it alone (still on acoustic) for "The Winter Moon", a piece where the melody revolves around a lovely descending line. Opsvik and Schuller are magnificent throughout, both knowing when to build intensity or to lay back. The bassist offers counterpoint to the soloists' melodies while the drummer is often coloring the background with his pleasing cymbal work. "Source Material" is modern music as it should be played, not only about cogent solos and sonic experimentation but also melodically strong and filled with striking interplay. Much of the music is played at lower volumes so pay close attention and reap the musical rewards. For more information, go to www.mikebaggetta.com. For tickets to the Firehouse 12 date, go to firehouse12.com. The program has much to recommend itself to the listener. First, Zenon's Quartet, composed of Luis Perdomo (pianist), Hans Glawischnig (bass) and Henry Cole (drums), has been a working unit since early in the 2000s (Cole replaced Antonio Sanchez after 2005's "Jibaro" recording). Secondly, he employs Guillermo Klein to write arrangements for 8 reeds and 2 brass) and he does a magnificent job of supplying subtle colors and shadings (never getting in the way.) Third, the material Zenon chose comes from the pens of Bobby Capo, Rafael Hernandez, Pedro Flores, Sylvia Rexach and Tite Curet Alonso, names that may be unknown to the average North American listener but whose works sparkle with melodic charm and, at times, rhythmic intensity. Finally, Zenon's saxophone work is so impressive. He plays fluid lines that leap out of the speakers and his ballad work is passionate, warm, and soulful. Several years ago, a criticism of his playing was that (and I am paraphrasing here) it was technically fine but lacked "soul." Can't say that about his recent work - Miguel Zenon has developed into one of the more eloquent alto saxophonists, a player who has found his heart (and voice) in mining the music of his homeland and putting his own distinct sound (and soul) into creating it anew. There is not a weak track on "Alma Adentro" (Depths of My Soul"). Kudos also go to Perdomo who makes the most out of each and every solo. And, Cole's drum work will make you get out of your seat - his dancing rhythms can be subtle or forceful but never dull. For more information, go to miguelzenon.com. If he's playing anywhere nearby, do your best to be in attendance. the four bags has just released its 4th CD, "forth" (NCM East) and the ensemble - Mike McGinnis (woodwinds), Brian Drye (trombone), Sean Moran (guitar) and Jacob Garchik (accordion) - has delivered its most consistent and enjoyable program. One continues to marvel at how a drummer-less ensemble can swing so smartly (when they want to) and how they continue to take unconventional material and make it "bags' music." Garchik's fingers on his accordion keys provide the "click track" for the group's re-imagining of "Run", a song originally recorded by the French band Air. The moaning trombone, the rippling and pinging guitar, and the keening accordion cast the piece in a very different light. The foursome has a lively time with its high-stepping "Girias Do Norte" (originally recorded by Brazilian singer-songwriter Jacinto Silva) - Moran's guitar sounds South African, at times, and the rest of the band creates quite a ruckus. Garchik contributes a fascinating arrangement of Iranian musician Parviz Meshkatian's "The Burning", a dramatic piece with a distinctive melody and impressive shifts in intensity. Of the original material, there's an Eastern European feel to Moran's "Terpischore", more Viennese than Romanian while Drye's "Imaginary Soda" blends Steve Reich and Frank Zappa into a more melodic sonic drink. Garchik's funky "Wayne Shorter Tune With All Different Notes" takes of atop a rhythm that seems like a permutation of Chick Corea's "Spain." McGinnis's "Sweet Home California" utilizes the rhythm from the Lynryd Skynrd tune of a similar title (different state) and Moran gets to display his "guitar slinger" chops. Garchik's solo has a fiery and atonal edge while the blend of clarinet and trombone creates fascinating colors. the four bags (all small letters, if you please) could be dubbed a chamber ensemble with roots in Weill, Nino Rota, 20th Century serial music, "pop" music and modern jazz. They impress with their blend of instrumental sounds, their fearless approach to repertoire, and their fine musicianship. Go "forth" with open ears and these bags will hold your attention each time you listen. Here's what "forth" sounds like (courtesy of the band) - make up your own mind. Not only will there be streaming audio but video as well. At 7 p.m., Almazan will sit with Lara Pellegrinelli for an interview and viewers/listeners are encouraged to send questions via a "live chat box." Judging by the show Almazan and Trio put on at Firehouse 12 in September (with Kendrick Scott sitting in for Cole), you won't want to miss this (here's what I thought) - best of all, the show is archived and you can listen as often as you would like. For more, go to www.npr.org/villagevanguard. The Firehouse 12 Fall 2011 Concert Series is going to get a jolt of major proportions on Friday night when the Harriet Tubman Double Trio hits the Elm City. 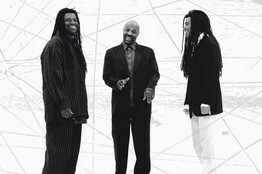 Originally formed in 1998 by guitarist Brandon Ross, bassist Melvin Gibbs and drummer J.T. Lewis, the HTT doubled its size in 2000 to record "Ascension", the 1965 work by John Coltrane that the jazz giant recorded with an 11-piece band. The Tubman Double Trio recording (which featured trumpeter Ron Miles and both DJ Logic and DJ Singe on turntables) languished in record label limbo until earlier this year. Sunnyside Records finally brought the music to light and the band has been touring to promote the CD. In New Haven, the band will add Graham Haynes (cornet, electronics) and the turntables of DJ Logic and Val Inc. There are 2 shows, 8:30 and 10 p.m., and reservations are recommended. You can call 203-785-0468 or buy online at firehouse12.com. The indie-classical chamber ensemble, formed in 2002 by Ms. Baker and Ms. Meyers, plays a heady and attractive repertoire of (mostly) 21st Century composers, folks such as Jason Treuting (from So Percussion), Caleb Burhans and Sofia Gubaidulina), with many of the works commissioned by Janus. It's important that the repertoire for flute, harp and viola began in the early 20th Century with a work by Claude Debussy. Their debut CD, "I Am Not (blank)", took 3 years to come together and was released late last year on New Amsterdam Records. For more information about the ensemble, go to www.janustrio.org. To purchase tickets, call the Church at 860-537-2052. My long-time friend and former Middletown resident Joe Fonda called the other day to remind me of the 7th Annual Composers & Improvisers Festival taking place Saturday October 15 in the friendly confines of The Buttonwood Tree, 605 Main Street in Middletown. As usual, Mr. Fonda has organized an impressive lineup. Opening the evening at 7:30 p.m. will be guitarist/composer Michael Musillami in a duo setting with bassist Rich Syracuse. Musillami (pictured left) is a California native but has been plying his musical wares on the East Coast for nearly 3 decades. He has worked with the late saxophonist Dewey Redman and organist Richard "Groove" Holmes but is best known for his musical relationships with Connecticut-born musicians Thomas Chapin (saxophones) and Mario Pavone (bass). He started Playscape Records in 1999 not only to release his own music but also artists such as Pavone, pianists Ted Rosenthal and Peter Madsen and drummer George Schuller. Schuller and Fonda have been the basis of the Musillami Trio for the past 8 years. Bassist Rich Syracuse is best known for his long relationship with pianist Lee Shaw and is a strong as well as musical player. Speaking of strong musical bass players, Avery Sharpe (pictured left) certainly fits that description. After studying as UMASS/Amherst with bassist Reggie Workman, Sharpe "hit the road" with saxophonist Archie Shepp and then spent 2 decades with pianist McCoy Tyner. He's released several CDs on his own JKNM Records and also composed the music for the one-person show "Raisin Cane", featuring Jasmine Guy. Sharpe also teaches at the Litchfield (CT) Jazz Camp in the summertime. There is a good possibility he'll be playing solo but don't let that deter you - he's a bassist who loves melody. Avery Sharpe's set begins at 8:30 p.m. The evening closes with a quartet of impressive brass players featuring Stephen Haynes (trumpet, cornet - pictured left)), Bill Lowe (bass trombone), Peter McEachern (tenor trombone) and Ben Stapp (tuba). Haynes spent many years working with the legendary trumpeter and conceptualist Bill Dixon (1925 - 2010) but also has created music with pianist Cecil Taylor, violinist Leroy Jenkins and modern classical experimentalist La Monte Young. His Trio recording, "Parrhesia" (Engine Records), with Joe Morris (guitar) and Warren Smith (percussion) was issued just last year. Over the 4+ decades of his career, Bill Lowe has played with James Brown, Eartha Kitt, Dizzy Gillespie, James "Jabbo" Ware, and hed co-led bands with guitarist Andy Jaffe as well as the Boston Repertory Orchestra. He has taught at Wesleyan, University of Pennsylvania, the New England Conservatory of Music and elsewhere. Peter McEachern also played alongside Thomas Chapin and Mario Pavone as well as the legendary Clarence "Gatemouth" Brown. He currently teaches at the University of Connecticut and the Litchfield Jazz Camp. Like his cohorts, Ben Stapp plays all kinds of music, from brass band to classical ensembles to improvised jazz. This unit performs at 9:30 p.m. For more information and reservations (recommended), call 860-347-4957 or go to www.buttonwood.org. 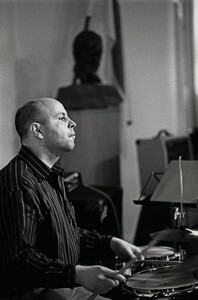 Drummer/composer Rob Garcia leads a splendid quartet, each player bringing unique talents to the leader's music. The band's debut for BJU Records, "Perennial" (2009) showed up on many "Best-of" lists and I would be surprised if "The Drop and the Ocean" doesn't make many of this year's lists. The blend of Noah Preminger (tenor saxophone), Dan Tepfer (piano) and John Hebert (bass) with Garcia's ambitious compositions is exemplary. If you are familiar with Preminger's work, you know he usually thinks melody first and he does that here as well but there are pieces that make him stretch. "Will", the opening cut, starts off with a saxophone Morse Code that anticipates the circular melody. Despite the urgency of the theme and rhythm below it, the 4 do not rush pell-mell into the work. Tepfer, who is yet another one the young pianists with a definitive style creates a solo that builds off the energy of the rhythm section and sets the stage for Preminger to create a solo that reshapes the urgent opening notes, twisting and curling around the active drumming. Hebert also helps to shape the pieces - his insistent bass lines beneath the declamatory melody line on "Boundaries" push against the tumultuous drums and cascading piano lines. His solo, coming after Preminger's husky tenor spotlight, is rich with melodic lines, allowing Garcia to create serious color beneath him. Other highlights include the driving and insistent "River" featuring a solo from Tepfer that, at times, echoes Andrew Hill without aping his style as well as Preminger's far-ranging and emotionally charged solo. "Humility" opens with a handsome piano spotlight (sans rhythm section) and, after Preminger voices the sweet first melody line, drops into a tempo that starts and stops with Garcia's active drumming alongside Hebert's driving bass lines. Tepfer's two-handed attack at the piano is a sharp counterpoint to Preminger's subtle tenor solo. There's a New Orleans feel in the shifting rhythms on "String and Poise" and admirable work from the bass and drums as they push/pull the piece along. 3 of the 12 tracks are short drum solos - titled "Flash"and numbered 1, 2 and 3, the pieces allow Garcia to be rhythmic and melodic and do not distract from the 9 Quartet pieces. I cannot wait to hear the 4 play this exciting music live - they'll be at Firehouse 12 in New Haven, CT, on Friday October 21. In the meantime, "The Drop and The Ocean" is music that moves the body, engages the mind and satisfies the soul. One cannot ask for more than that! For more information, go to www.robgarcia.com. Here's a taste of "The Return", a track that shows the influence of Ornette Coleman, courtesy of BJU Records and IODA Promonet. Paul Motian's style on the drums may have "calmed down" over the last few decades but he remains one of the more musical drummers on the planet. 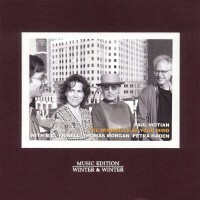 "The Windmills of Your Mind" (Winter & Winter) features long-time compatriot Bill Frisell (guitar), the fine young bassist Thomas Morgan and the vocals of Petra Haden (daughter of Motian's section mate Charlie Haden.) 11 of the 16 tracks are standards, songs framed by Frisell's spare guitar chords and Morgan's melodic bass lines. Underneath is Motian, not driving (most of) this music but subtly steering the pieces with his minimalist style (lots of brush work and cymbal shadings.) Ms. Haden stays true to the melody lines, with few if any vocal embellishments. Her work on "I Loves You Porgy" and "Tennessee Waltz" are emotionally rich while her lovely, soft, take on the title track gives the oft-recorded song new life. Frisell's rhythm work is absorbing while Morgan serves as a second melodic voice. Motian's brush work is so quiet and spare that he is more of a sonic "painter" than pulse maker. The 5 Motian originals are all instrumentals but keep the mood of the other tracks. Morgan's solo on "Wednesday's Gone" is short yet sublime while Frisell's guitar on "Backup" is evocative of moonlit nights in the fall. Motian's drumming on "Trieste" (one of his older tunes) swings in his unhurried yet tuneful manner. Because of the uncluttered style of this music (and the superb sound quality of the CD), "The Windmills of Your Mind" is so satisfying. One expects that Bill Frisell's work will be pleasing but, here, Thomas Morgan's bass work absolutely stands out. Petra Haden is out front but fits herself sweetly into the flow of the music. Meanwhile, the 80-year old Paul Motian is the soul, the percussive painter, of this quartet, allowing the melody to carry the day throughout. For more information, go to www.winterandwinter.com. "History of Jazz in Reverse"(TUM Records) is a sweet release from FAB Trio, the hardworking ensemble of Joe Fonda (bass), Barry Altshcul (drums) and Billy Bang (violin). Recorded late in 2005 (after a successful European tour), this music is driven by strong melody lines, hearty rhythms and the excellent interactions of three men who enjoy each others company. When you listen closely, one cannot tell if it's Bang's insistent and energetic violin, Fonda's lusty bass lines or Altschul's hard-edged drum work that drives the music. Tunes such as "Homeward Bound", "Implications" and "From the Waters of New Orleans" build up such a head of steam, it can push the listener up out of his chair. When Bang (who passed in April of this year) gets going, the music seems to levitate. Yet he can be subtle and oh-so-bluesy - the sweet plucked violin opening of "One for Don Cherry" feels like a blend of Appalachian folk songs with an Indian mantra. The interplay of Fonda's bass and Bang's violin in the middle of the piece is mesmerizing. The program closes with "From the Waters of New Orleans", replete with second-line "parade" drumming, a fiery bass solo and very funky violin. Do not overlook this excellent recording from FAB Trio. The sound mix allows each instrument to stand out so you can really dig into Barry Altschul's creative drum work, ride along with Joe Fonda's moving bass lines, and luxuriate in Billy Bang's delightful violin playing. To find out more, go to joefonda.com. Tenor saxophonist Ernie Krivda has issued a slew of Lps and CDs since he first came to critical notice in the 1970s and one aspect has remained constant throughout the years - his big, round, tone and penchant for melody. "Blues for Pekar" (Capri Records) finds him in the company of "The Detroit Connection" - pianist Claude Black, bassist Marion Hayden and the steadily swinging drums of Renell Gonsalves - plus guest appearances on 2 tracks each by Dominick Farinacci (trumpet, flugelhorn) and Sean Jones (trumpet). If you're a fan of hard-bop, there is much to like in this program. The rhythm section thunders through Dexter Gordon's "Fried Bananas" while Krivda and Farinacci trade lines and pianist Black drops "quotes" like mad. Jones joins the fun on Sonny Rollins' "Valse Hot" displaying his rich tone and finely articulated lines while Krivda swings with glee. Dig Ms. Hayden's thick bass lines and Gonsalves' strong drive. The saxophonist evokes Coleman Hawkins and Ben Webster on "More Than You Know" and his interplay with Black throughout his long solo is impressive. The title track is dedicated to comic writer and music critic Harvey Pekar (1939-2010), like Krivda, a native of Cleveland, Ohio. While the music does not really capture the cartoonist's prickly style, it truly celebrates his love of music. Farinacci shines, pushing Krivda to dig deep and create a fine, not flashy, solo. It's true - Krivda playing is substantial, melodically and emotionally rich and he rarely plays to "show off." Ernie Krivda does have an impressive catalog with a good portion of his best work on Cadence Jazz Records or its subsidiary, CIMP. "Blues for Pekar", his debut on Capri Records, is very good and lots of fun. Dig in! For more information, go to www.erniekrivda.com. I wrote a few weeks back about the Braxton Festival to take place at Roulette in Brooklyn (click here to read the particulars) and this is the big week. You will notice that Professor Braxton is playing every night except Saturday when he is conducting. He continues to amaze with his energy, output and vision. To find out more, go to www.roulette.org/events/upcoming.php. Firehouse 12, 45 Crown Street in New Haven, welcomes cellist/composer Erik Friedlander & his Bonebridge group on Friday October 7. Joining Freidlander is the dynamite rhythm section of Michael Sarin (drums) and Trevor Dunn (bass) plus the fine slide-guitarist Doug Wamble. The quartet's self-titled CD is a funky and creative slice of "Amercana" music, a smart blend of folk, blues, country, pop and jazz influences. And the interplay of the cello with Wamble's bluesy guitar is exciting and captivating throughout. The band will play 2 sets, 8:30 and 10 p.m. - go to firehouse12.com or call 203-785-0468 to reserve a seat in the handsome performance space. Erin Camp (flutes), Peter Scuderi (clarinets), Mallory Kokus (saxophones), Elias Mullane (guitars), Bryan Hayslett (cello), Marshall Greenberg (basses) and Sayun Chang (percussion.) The ensemble's repertoire ranges from JS Bach to John Cage to contemporary composers who are pushing the boundaries of what we call classical music. The event takes place at Neverending Books, 810 State Street in New Haven. For more information, go to uncertaintymusic.com. I've got a backlog of CD reviews threatening to take down my desk and will start chipping away at them later this week. In the meantime, go out and be audience.